$0.99 on itunes!Buy on Amazon! When Nicole Graves arranges a summer-long swap of her Los Angeles condo for a London couple’s house, she thinks it’s the perfect arrangement. She’s always dreamed of seeing the real London; she’s also hopeful the time away with her husband Brad will be good for their troubled marriage. But things don’t turn out the way Nicole expects: The Londoners fail to arrive in L.A. and appear to be missing. Then people begin following Nicole and making threats, demanding information she doesn’t have. Soon, Nicole realizes she’s in serious trouble––but she can’t get Brad or the police to believe her. When the confrontations turn deadly, Nicole must either solve the case or become the next victim. Do you love The Swap book? Please share! 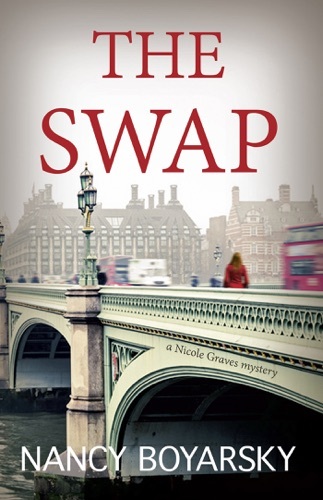 The Swap - Nancy Boyarsky E-Book coming soon..